South East Asia`s natural wonder, Borneo invites you to take the most thrilling family adventures in a single trip. Feel the adrenaline rush through your bloodstream as you paddle through the bumpy riverbeds at Kiulu a great river for beginners and children to enjoy rafting. Hit the beach, play some beach games and swim among colourful fish. Encounter orangutans in the protected Sepilok Forest Reserve. Here your children will learn how orphaned orangutans are rehabilitated back into the wild. There are also various nature trails and walks within the reserve; from tropical highland rainforest, to lowland mangrove swamps where wildlife can be seen including orangutans and nocturnal animals on the night walk. Experience a day with Island hopping, to Manukan and Sapi Island where you can experience crystal clear turquoise waters and white sandy beaches. 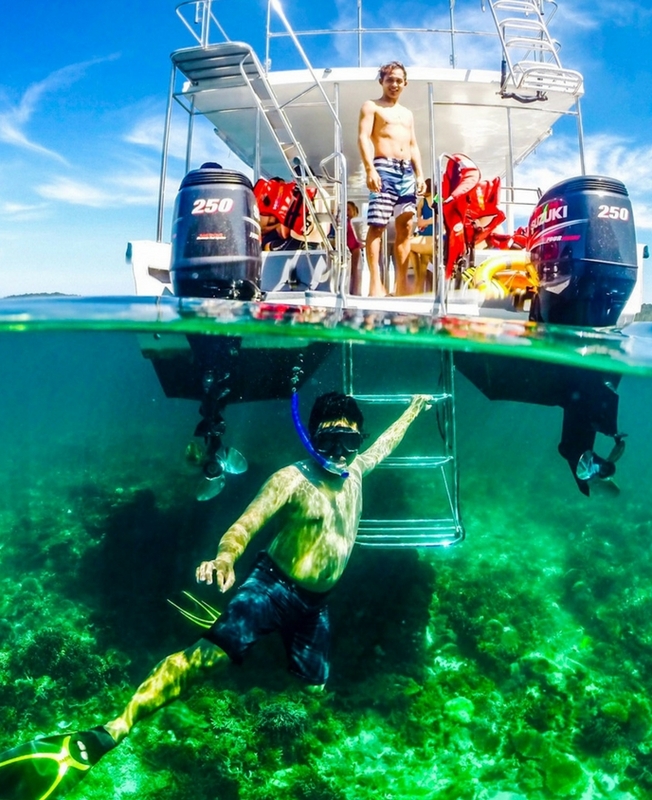 You can choose for the optional activities at Tunku Abdul Rahman Marine Park - Scuba diving, Para sailing, snorkelling, jet boats, under sea scooter, etc. 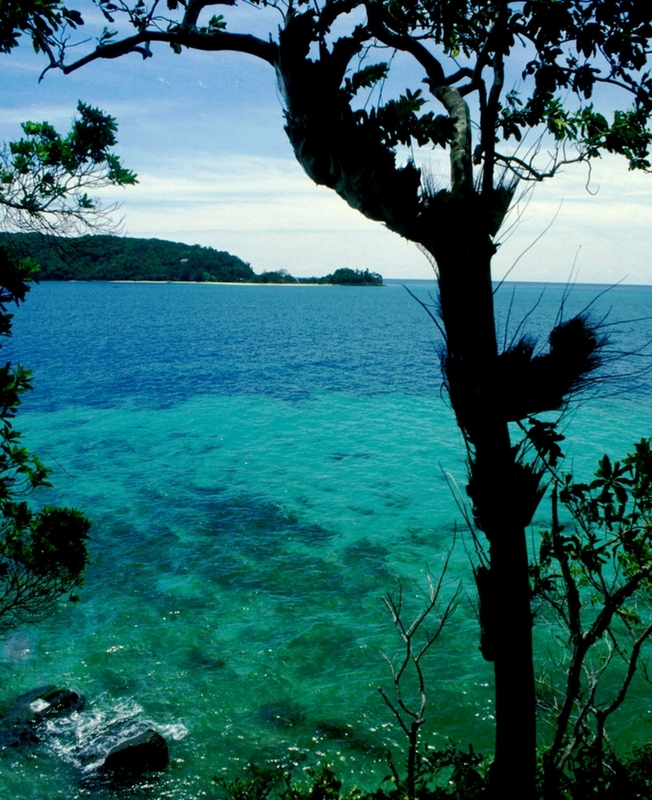 or simply laze around the sun soaked shores and seascapes teeming with marine life. 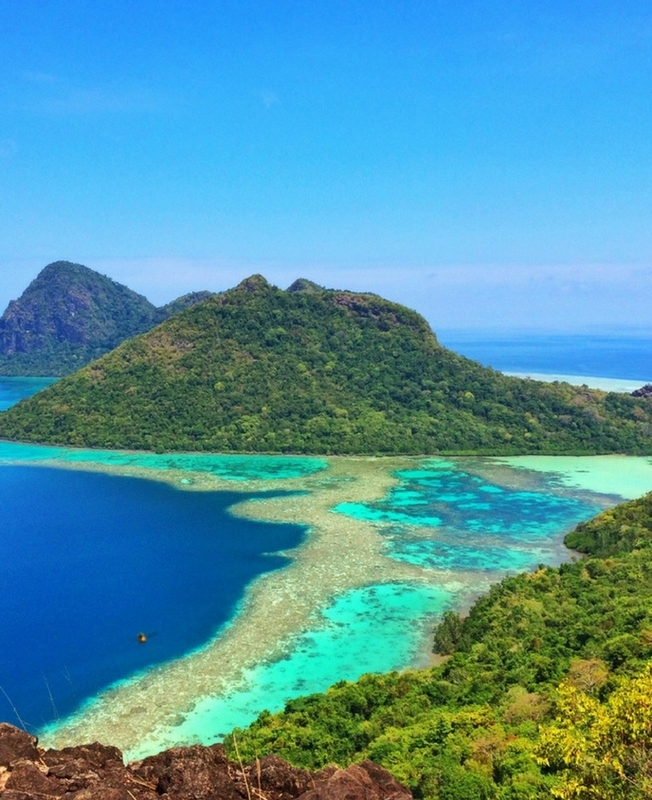 Snorkel at the cluster of Islands that make up Tunku Abdul Rahman Park, with an experienced Dive Master. Say hello to the colorful parade of fishes that reign the underwater world. Relax on the golden shores and just suntan or explore a short forest trail. Feast your eyes with a guided walk along the nature trails in the foothills of Mt Kinabalu. From carnivorous Pitcher Plants to rare Orchid species, the garden showcases a broad collection of endemic plant species. Take a walk on the famous “Jambatan Tamparuli” suspension bridge and soak up the small-town charm. Malaysia’s first ever UNESCO World Heritage Site, Kinabalu National Park, boasts an estimate of 4,500 species of plants which include 1,500 species of orchids, 77 of which are endemic to Kinabalu. Drench in the soothing sulphur bath in the Japanese-styled open air tubs! Get mesmerized by the amazing sights and listen to melodious sounds of the unique rainforest creatures from a bird’s eye view. 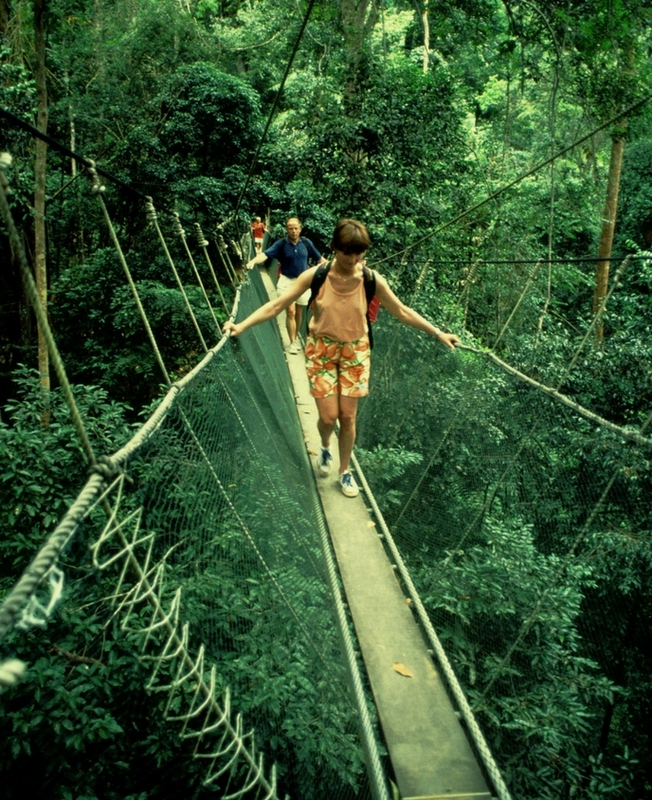 Witness the grandeur of a hundred million year old rainforest, from a walkway suspended above lush jungly tangles. Take a scenic drive through rustic countryside vistas and Palm Oil Plantation. Gear up! as a guided tour along the plank walk unveils the intricate chamber system of Gomantong Cave, home to millions of bats and swiflets. Cruise down the Kinabatangan River all the way to Oxbow Lake, get a glimpse of the preserved natural landscape and wildlife along the riverbank, or take an optional jungle trek to experience the wilderness. Boardwalk amidst a lush lowland rainforest leading to Sepilok Rehabilitation Centre, where fuzzy Orang Utans wont shy away from grabbing some of your food. Spy nocturnal animals on the night safari cruise at Kampung Bilit Rainforest, Sukau River. 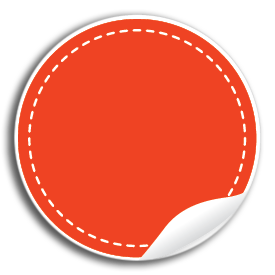 A chance to spot the richest ecosystem's fauna that dwells after dark hours.